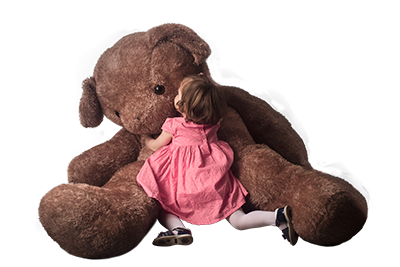 What could make a 6-year-old girl feel that her parents love the family dog more than her? Or a 5-year old boy believe that in spite of all the parenting books his parents are reading, their parenting stinks? These are actual sentiments we have heard from children we have met. When we look at parents like those, and like you, we see very good intentions, a deep love that words can hardly describe, and enormous effort to give their children the best life possible. Yet your child still might be thinking you love the dog more than them! How is this possible? It could be that in spite of good intentions, parents aren’t always meeting the actual needs of their young children. Just what are these needs? Understanding the missing link in children’s thinking starts with understanding what your baby’s basic and most important need is between birth and 3 years old. That is one of the most critical periods in life because at the end of this time your child’s brain development will be 90 percent completed; he or she will already have a sense of self-worth and a foundational idea about life. During the first year of life, your baby’s brain is hungry to learn. But learning is only possible IF you meet the baby’s basic needs by supporting his or her brain development. Your baby’s brain is making essential connections through experiences shaped by parents, their primary caregivers. The most important responsibilities of a parent are creating a secure attachment and the right environment for their children so their brain can do its job. That job is creating connections, or circuits, for better learning skills and developing the executive functioning centers of the brain. What are these experiences that shape baby’s brain? These two critical experiences actually shape your child’s brain and this has a life-long effect on emotional development, particularly attachment and self-worth and on cognitive development and learning, such as language, goal setting, and problem-solving. The Serenade For My Baby Book Series can help parents impact the way their baby’s experiences shape the architecture of their brain. As a parent, you have the opportunity to create a strong next generation. But first, you must heal your own wounded inner child before you can begin transforming your parenting and letting your child be themselves. 1. Creating an inner awareness of the importance of emotional development—knowing that this affects brain development and is the foundation of learning and social skills in children. A baby’s primary need is feeling attached and worthy of a parent’s love. If these needs are not met, the baby starts to experience toxic stress; and as Harvard University’s Child Development Center has found, this negatively impacts the brain’s development. That is where the fight or flight syndrome comes in. Neither of these responses is healthy for your child. A child who actively pushes you away or fights with you or a child who shuts down and will not engage using the flight response makes attachment difficult. 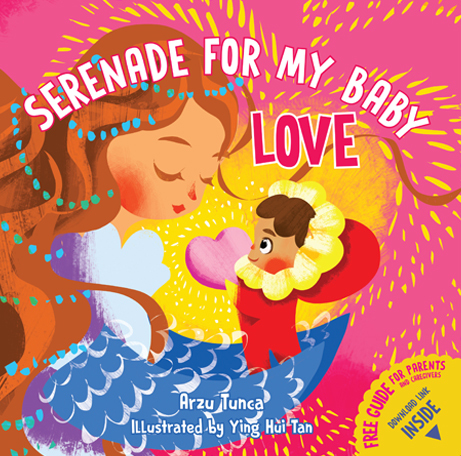 The Serenade for My Baby books offer opportunities to physically connect with your child as you read to them, touch them, kiss them and hug them. By reading the books with your child you will create an energy of love, feelings of belonging and security, and create a belief in your child that they are worthy of love. All of this supports a healthy, loving attachment between you and your young child. You are not only creating the feeling of love, security and worthiness, you will also be shaping the executive functioning centers in the brain for focus and attention and building language and vocabulary. This will prepare them for better learning in school, and success in life. 2. By healing the way we see ourselves as parents—which means healing our inner child. Don’t fool yourself by saying you are not traumatized and your inner child does not need healing. You might not meet the formal definition of traumatized, but like all of us, you are bringing elements of old and damaging patterns of parenting and a belief system, either your own or your parent’s or whomever you follow, into your relationship with your child. And you will pass these patterns and belief systems on to your children. This is an area that we need to free ourselves, or at least learn to be selfless, so we can share our best parenting self and pave the way for our children to experience their own essence. Think of it like this: How are you going to make your child feel secure and worthy when you do not feel that way? When you do not like yourself, or your job, or your spouse or life, or if you are constantly experiencing toxic stress yourself? 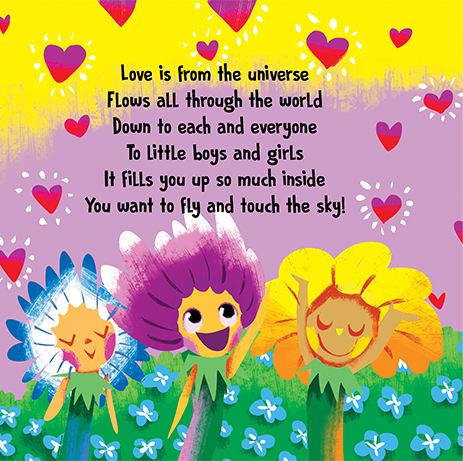 Reading the affirmation poems to your child in the Serenade for My Baby series allows also parents to work on healing and strengthening themselves. This happens through speaking to our inner child, making sure we know we are worthy of love and trust, that we matter and that we are safe and loved. Regardless of what we are experiencing in life, our priority is our children and they need a loving, caring, secure environment to develop to their optimal potential. 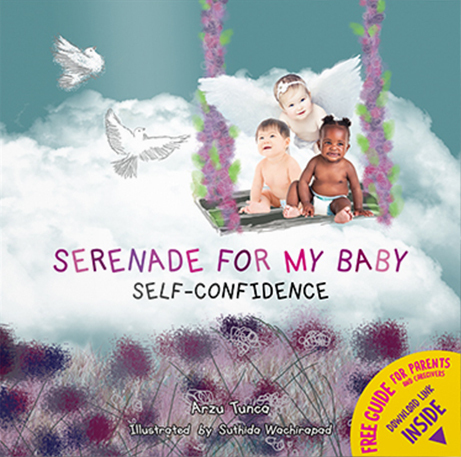 The Serenade for My Baby book series will be your guide when you need one most. The books are there when you cannot find the words to describe your deepest feelings and thoughts. They will form the foundation of your daily reading routine with your child and for calming your child before bed. And if you opt for a personalized version of the books that feature your child’s name and photograph, your young child can fully experience your feelings of love and security while seeing their photo in the book and listening to the affirmation poems with their names. We are dedicated to the mission of our books developing strong new generations—those that focus on creating a more loving and caring world by being an example of these attributes. We will be adding new books to our series to support children’s emotional development and healing of your inner child.